Whether it’s highly sought after collaborations, sold out brews or buzzworthy beers of yesteryear making a sudden reappearance, we’ve got the lowdown on what you should try before the year is over! Word to the wise: some of these beers have already been released via one day sales and are unavailable—like Tom Cruise’s youth. We recommend you brush up on your bribe game, head to your nearest bottle trade and do some serious campaigning. When a brewery uses one malt and one hop to brew a beer, it is commonly referred to as a SMASH. 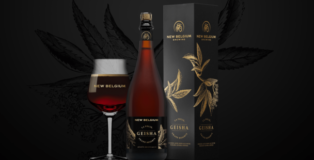 This Single Malt And Single Hop style showcases the basics and purity of brewing. There are no tricks, but often the result offers plenty of treats. 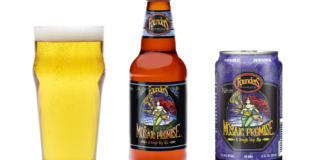 Founders Brewing Company’s Mosaic Promise is just that, a treat for the fall season the breaks away from the more complex and popular Märzens, pumpkin spice and harvest ales. Added officially as Founder’s fall seasonal in 2016, Mosaic Promise is available from August to November in six-pack bottles and now, in 15-pack cans.